We’re Xpress and we’re in the business of improving long commutes, saving people money, and lowering stress levels throughout metro-Atlanta. 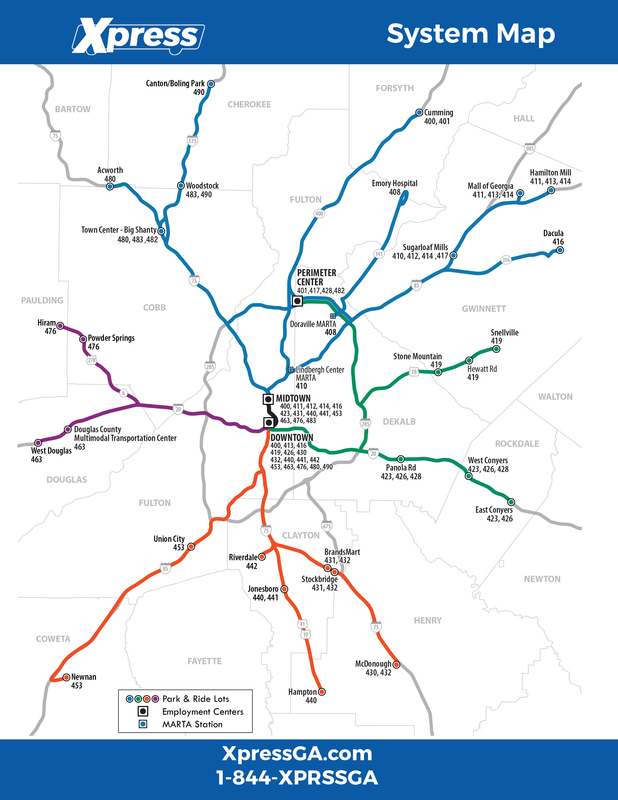 We are committed to reliably and comfortably connecting Atlanta’s weekday commuters with their workplaces in some of the region’s busiest employment centers. 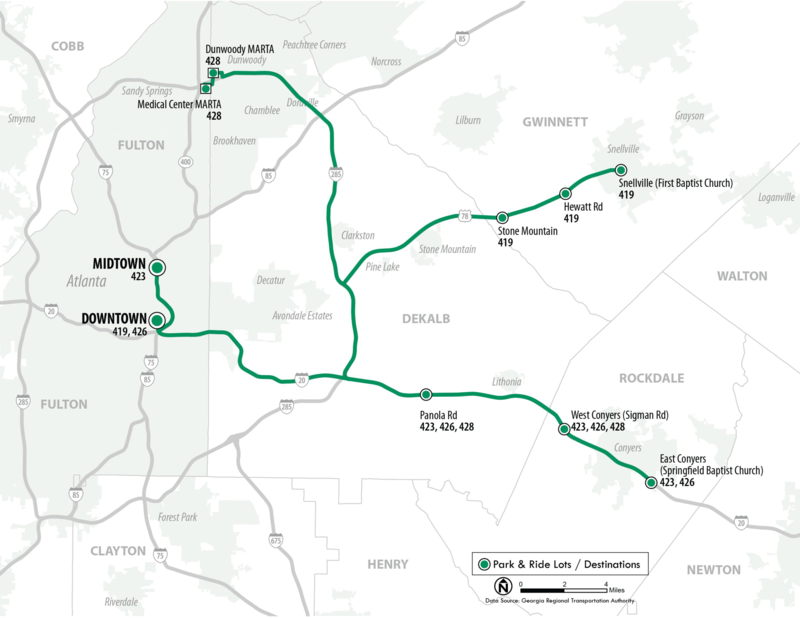 Answer a few easy questions and we’ll show you routes matching your commute needs. Home to some of our most popular routes, our Midtown service reaches from the Civic Center Marta station to 17th Street. 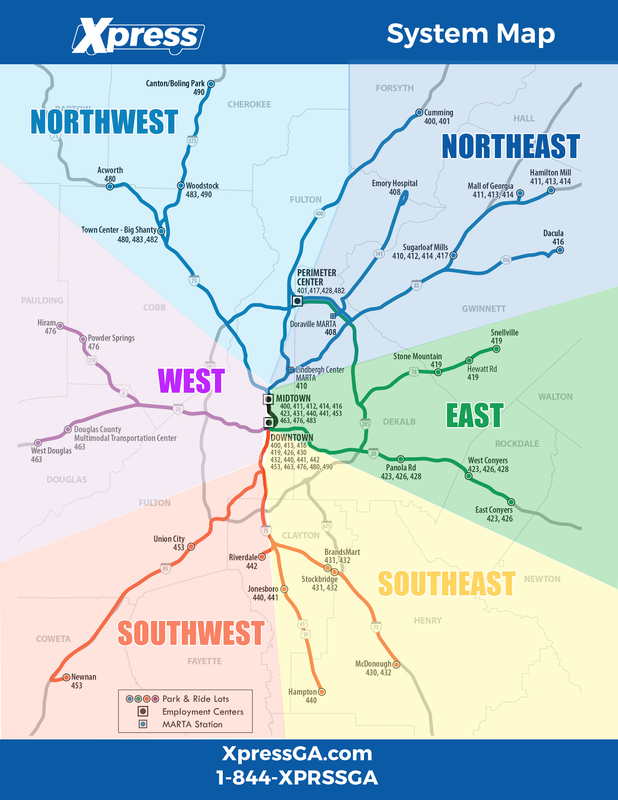 Thirteen Xpress routes and connections through numerous MARTA stations help provide lots of options for Midtown workers. Located along the top-end of I-285, Perimeter Center is one of the regions top employment destinations. 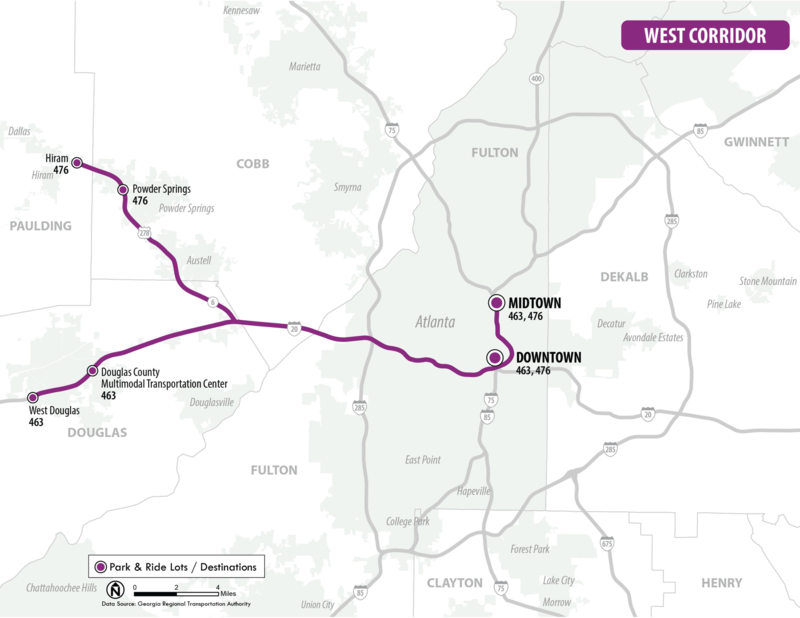 Xpress currently provides convenient service to Perimeter Center from Conyers and Cummings. 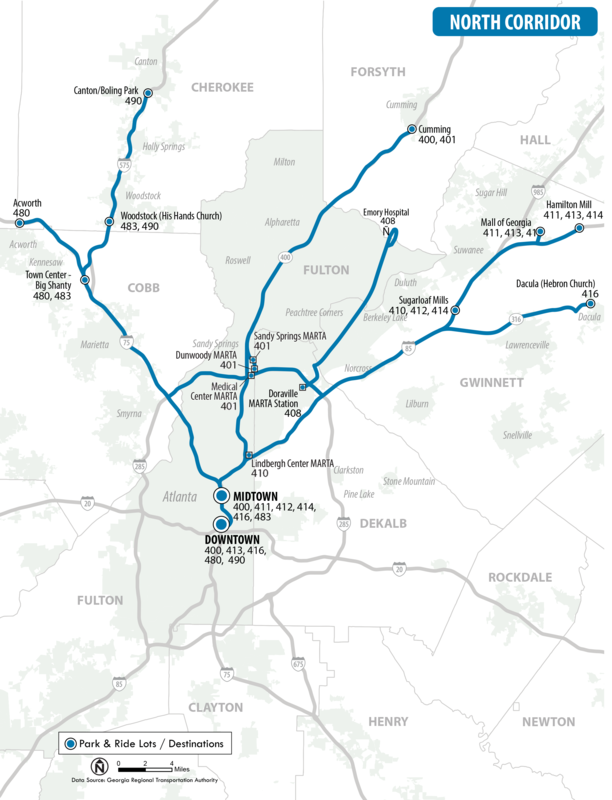 Downtown Atlanta has the region’s highest number of jobs, 15 Xpress routes and numerous Marta stations. Our Downtown routes have stops ranging from Mitchell Street to the Civic Center Marta station. Buckhead has one of the region’s highest employment densities. 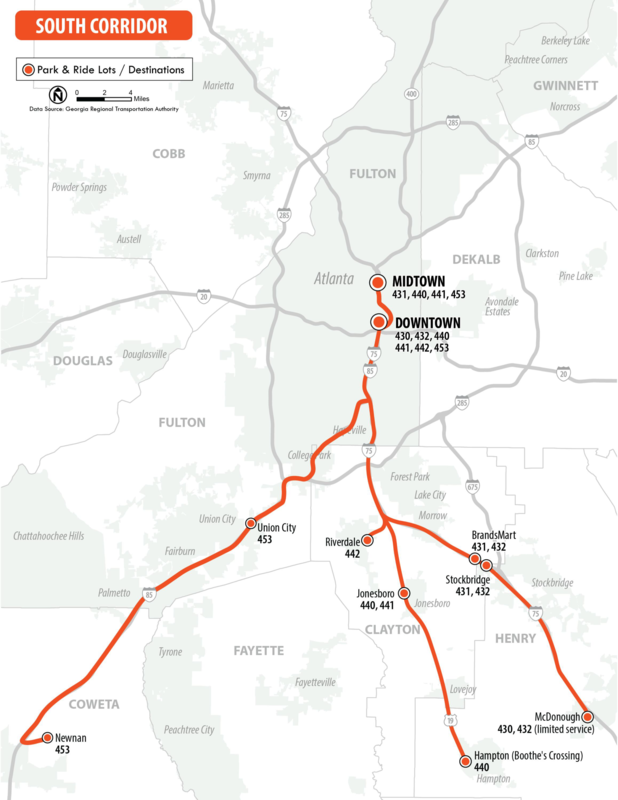 An Xpress route helps connect Northeast metro residents with Atlanta destinations by connecting with three Marta stations. Not traveling to one of these areas? That’s okay! We can still get you the resources you need to get where you need to go. Visit our transit partners’ page to find more transportation options. Use system map to help select corridor. Select the park and ride lot that work for you. 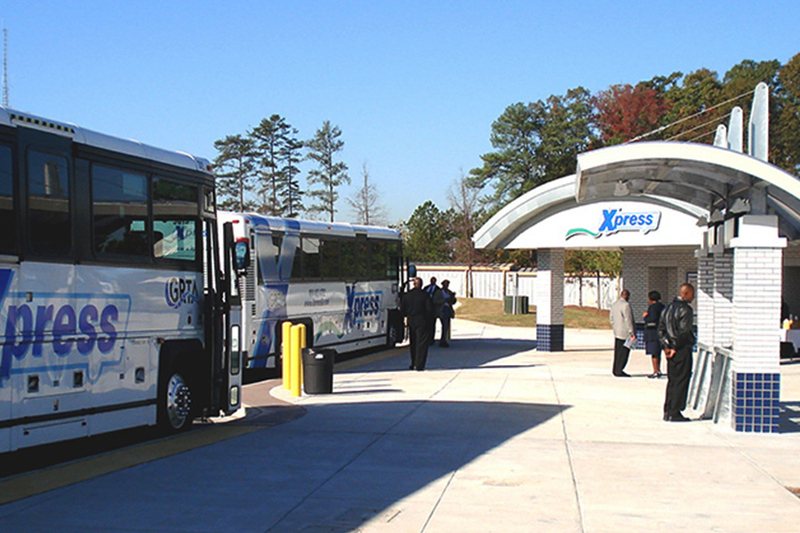 Xpress operates out of two park-and-ride lots in Kennesaw, one is the Town Center-Big Shanty and the other is Busbee. These lots back up to each other and are connected by a pedestrian path. It looks like Xpress may work for you. 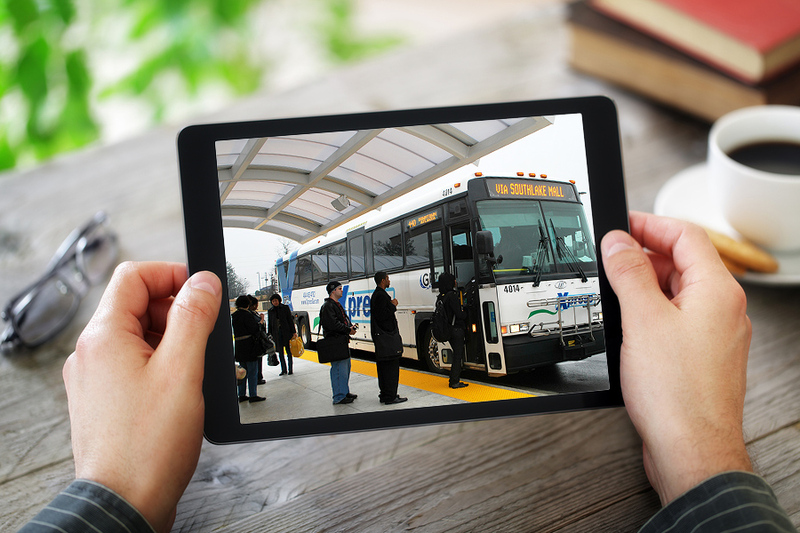 Click the route above for all service details, including schedules and fares. Click one of the routes above for all service details, including schedules and fares. This route directly connects to a Marta station. You can use a Breeze card to receive free transfers between Xpress and Marta. Click the routes above for all service details, including schedules and fares. This route directly connects to Midtown at the North Avenue MARTA station. Should you need to travel further north into Midtown, you can use a Breeze card to receive free transfers between Xpress and MARTA. This route travels directly to the North Ave. Marta station. Should you need to travel further north into Midtown, you can use a Breeze card to receive free transfers between Xpress and Marta. For about the same cost of a good cup of coffee, Xpress gets you where you need to go, with multi-ride discounts and free transfers to MARTA. We have 27 free Park-and-ride lots throughout metro Atlanta, with stops at major business centers in Downtown, Midtown, Buckhead, and Perimeter Center. 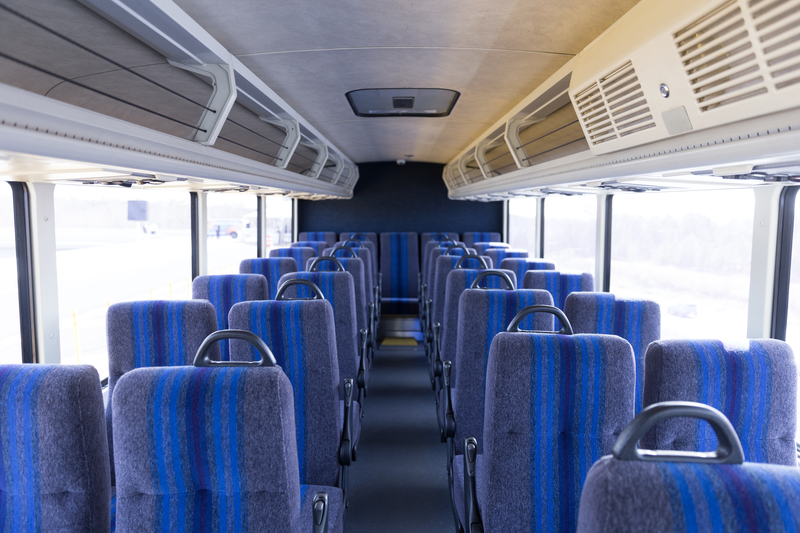 Our luxury coaches are complete with plenty of leg room, reclining seats, luggage and bike racks, as well as personal reading lamps, power outlets, and free WIFI.